This product can be used as makeup base for a fantastic finishing. Extraordinarily light daily sunscreen that provides exceptional hydration while it protects against external aggressors such as UV rays, dryness, and air pollution, for a skin with a perfect and healthy look. Apply daily in the morning. The Shiseido suncare line is constituted by a range of anti-aging products that effectively protect the skin from redness, dehydration, flaking and cell damage caused by UV rays. 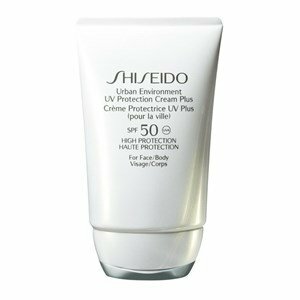 The Shiseido Multi Defense System combines UVA / UVB protection with the benefits of treatment. Its light formula of high efficiency leaves the skin beautiful and ready to receive the sun! The Shiseido Beauty Advisers Team were at Sweetcare to provide our guests a mini -facial and a make-up session! Get to know all the details, best moments and the favorite products of the beauty experts ! learn how to achive the perfect skin, even without make-up, with Shiseido's Glow Revival line.